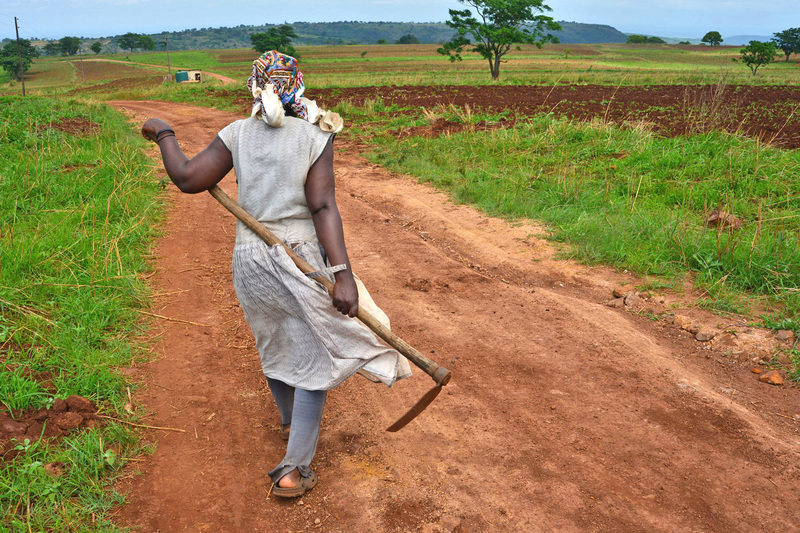 Faced with increasingly unpredictable rains and soaring agricultural input costs, many of Swaziland’s smallholder farmers are no longer able to make a living relying on traditional methods to grow maize, the staple crop. Donor-funded schemes to subsidize the cost of seed and fertilizer have dried up and a Ministry of Agriculture service to provide affordable tractor hire has been a casualty of the government’s cash flow problems. The small plot of land allocated to Mnisi’s family by the local chief has to support a large household, including eight grandchildren (four of them orphans), Mnisi’s husband, who is unemployed, and his second wife. With no surplus of maize to sell, Mnisi could not afford to pay the fees for her 16-year-old daughter to attend school this year. Mnisi’s neighbour, Lomacala Maliba is faring a little better. Her willingness to experiment with growing other crops besides maize, including sweet potato, cassava, peanuts and beans has earned her the designation of “Champion Farmer” and four free bags of fertilizer through a joint programme run by the Ministry of Agriculture and the UN Food and Agriculture Organization (FAO). "I don't have enough money to hire a tractor...and I can't afford fertilizer either. It affects my yield"
The scheme makes use of champion or "lead" farmers like Maliba to demonstrate to others in their communities that growing crops that are less rain-dependent can be profitable, particularly if they adopt conservation agriculture practices that eventually make the use of fertilizer and tractors for ploughing unnecessary. Maliba has tried to pass on what she has learned to other farmers in her area, “but the problem is that they don’t have enough inputs so the crops don’t do well,” she told IRIN. Until 2011, the government used FAO funding to provide subsidized seed and fertilizer to some of the country’s most vulnerable rural households. But Bheki Ginindza, an agricultural specialist with FAO in Swaziland, said the scheme had not been a success because those families targeted with the inputs were often too sick, elderly or young to make use of them. An input distribution scheme led by the National Emergency Response Committee on HIV/AIDS (NERCHA) that relied on Swaziland’s more than 300 chiefs to identify needy households suffered from the same problems and ceased to operate after 2010. The problem with such schemes, said Ginindza, was the lack of technical assistance to ensure that recipients used the inputs correctly for maximum benefit. Their reach was also small with Ginindza estimating that only about a tenth of Swaziland’s 260,000 farming households benefited. JANUARY 2013 - Swaziland’s smallholder farmers face increasing difficulty making a living with traditional methods of growing maize, the staple crop. With no programmes to subsidize inputs, many farmers, unable to afford fertilizer, have seen their maize yields drop. Those who have received training in “conservation agriculture” and growing crops that are less rain-dependent than maize are faring better, but they are constrained by their lack of land tenure and inability to raise capital. As the cost of both inputs and food has risen significantly over the past year, many subsistence farmers have had to prioritize food over fertilizer and in June 2012, the Ministry of Agriculture announced a 10 percent decline in maize production during the 2011-12 farming season, as well as a 15 percent decrease in the area planted to maize. 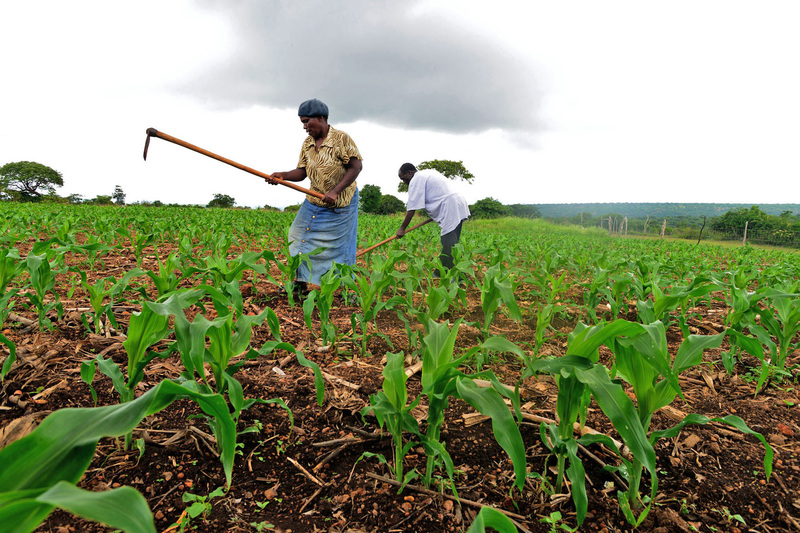 The World Food Programme attributed the reduced maize harvest to poor rainfall and the high cost of fuel and inputs, but the Swaziland National Agricultural Union blamed the shortage of functioning government tractors for hire to farmers. In Thikhuba, another farming community in Lubombo District, only six out of 13 government tractors were working, according to the local extension officer. George Ndlanganamandla of the Ministry of Agriculture admitted that "some tractor parts are hard to come by and the government's financial limitations are contributing towards the challenges posed by non-functioning government tractors." He added, however, that the government tractor hire service "is merely a demonstration to prospective commercial entities to venture into the industry". While private tractor owners charge nearly double the government rate of US$15 per tractor hour, government has set aside a budget to pay the difference. While this system is working well in many communities that have a good supply of tractors, in others there is still a shortage of private suppliers, said Ginindza. FAO is encouraging farmers to make use of conservation agricultural practices which rely on minimal soil disturbance to avoid soil erosion and reduce the need for ploughing. "Farmers really need to do away with tractors, especially on smaller fields, because really it doesn't make economic sense," said Ginindza. Meanwhile, Ndlanganamandla of the Agriculture Ministry said the government is in the process of finalizing a US$35.3 million loan agreement with the Indian government which will be used to provide subsidized inputs to farmers in regions considered suitable for maize production in the 2013-14 farming season. Ginindza noted that many parts of the country, particularly the drier lowland areas, were not suitable for growing maize, but that people continued to grow it. "There's a sense of security in growing maize," he told IRIN. "There's also the feeling that if they don't use the land, someone will take it away from them; so people continue to farm, even though it's not profitable." Most farming households in Swaziland live on Swazi Nation Land which is held in trust by King Mswati III, sub-Saharan Africa's last absolute monarch. Households are allocated plots by their local chief. Not only does the lack of title deeds make it difficult to secure a bank loan that could be used to install irrigation systems or make other improvements, but land that goes unused can be reassigned to another household. Recently, the International Monetary Fund recommended land tenure reform as part of the solution to Swaziland's deepening economic decline, but the Swazi government is considered unlikely to change a system that maintains the power of the chiefs and the royal family.